Having grown up in Bakersfield, I always feel at home with farmers. I love to see the sparkle in their eyes when they talk about the land, the weather, the fruit. It’s a passion I truly understand. 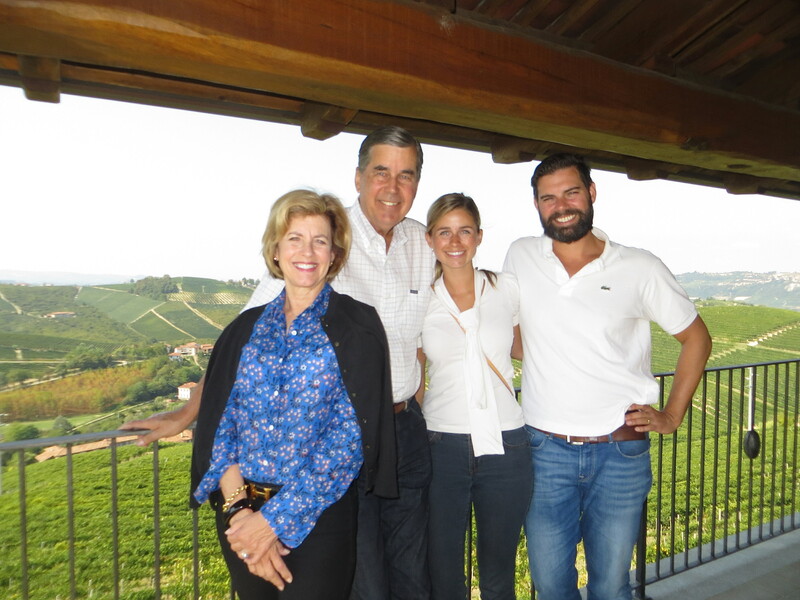 And although I speak almost no Italian, the passion of the Piedmont vintners was not lost in translation when we visited their vineyards in August …and again last week with my parents. It was an extra special trip because we arrived during the peak of harvest. Most vineyards were in an “all hands on deck” mode to get their grapes picked before a rainstorm could ruin them–yet, they managed to squeeze us in for tastings. 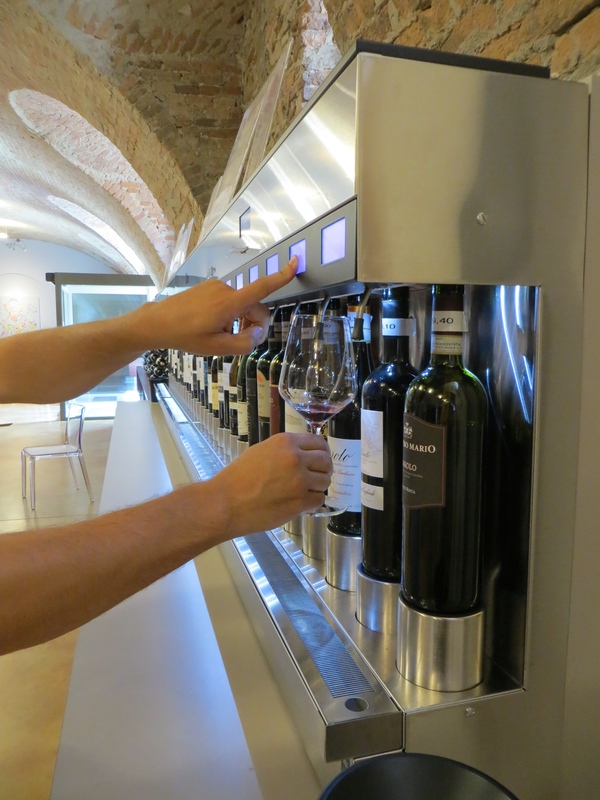 I won’t try to describe all the wines (I’ll leave that to the pros), but give you a rundown of the cellars should you plan a visit to Piedmont. 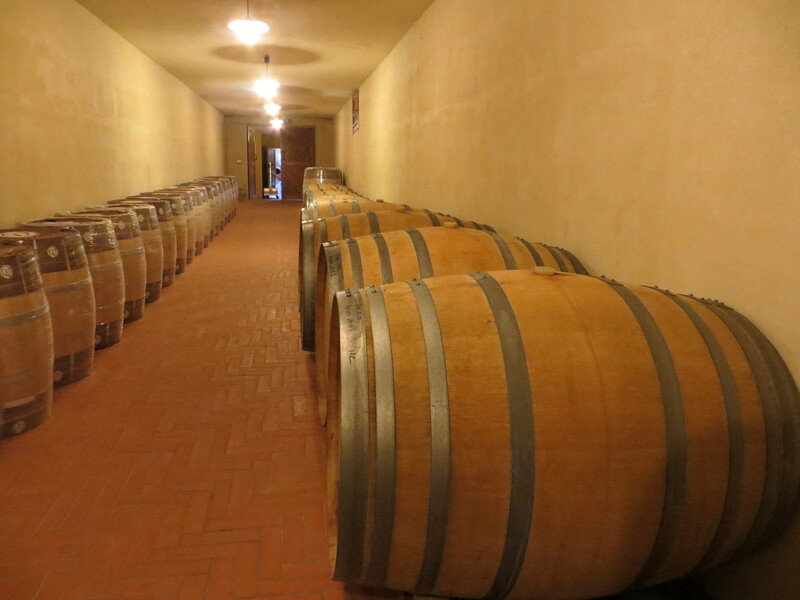 This 500-year-old winery is one of the oldest in Italy, so we had to see their incredible cellar. I expected it to be a museum, but when we walked up we found the proprietor sweeping the front steps himself. He led us down a series of staircases, deeper and deeper underground where the temperature dropped several degrees and tiny mushrooms grew on the walls. 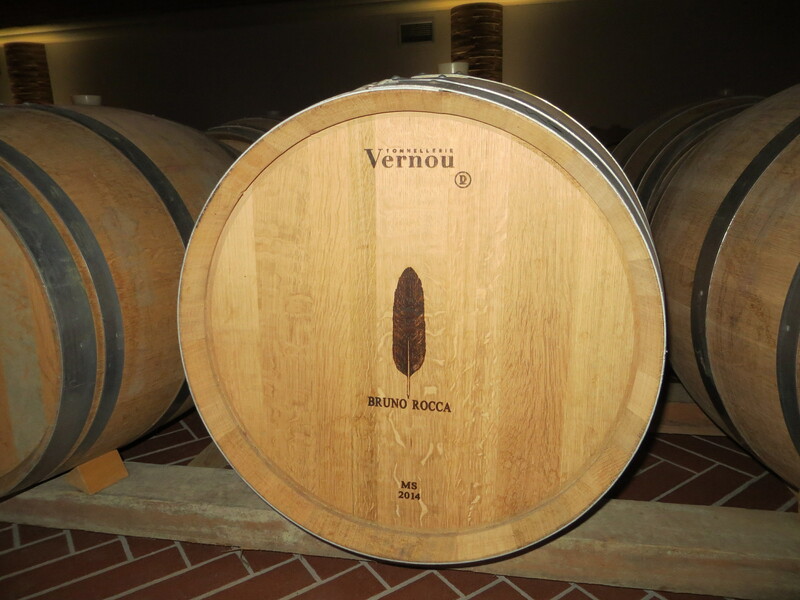 There, he showed us how they had been making wine for the past few centuries–always in Slovenian oak barrels, never differing. You simply can’t experience a winery this ancient in the United States. Incredible. 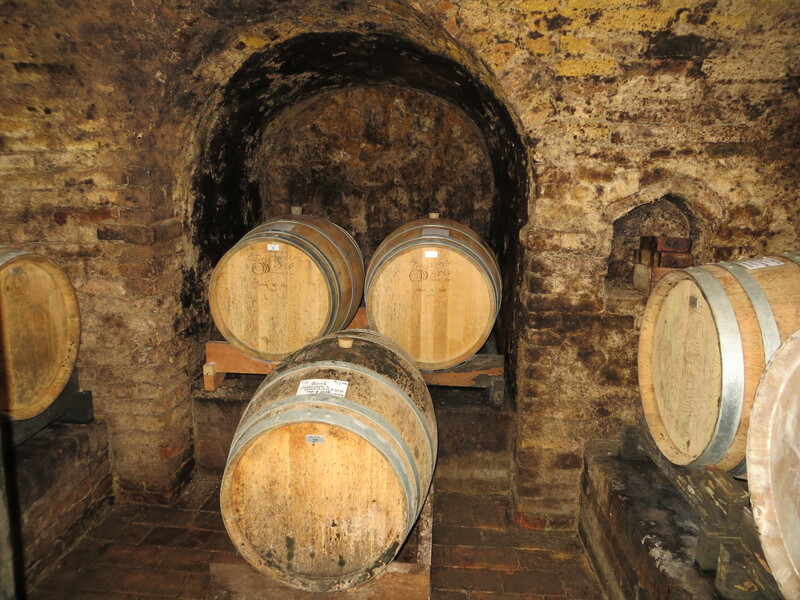 We visited the cellar purely for the history, but found the wines equally enthralling. 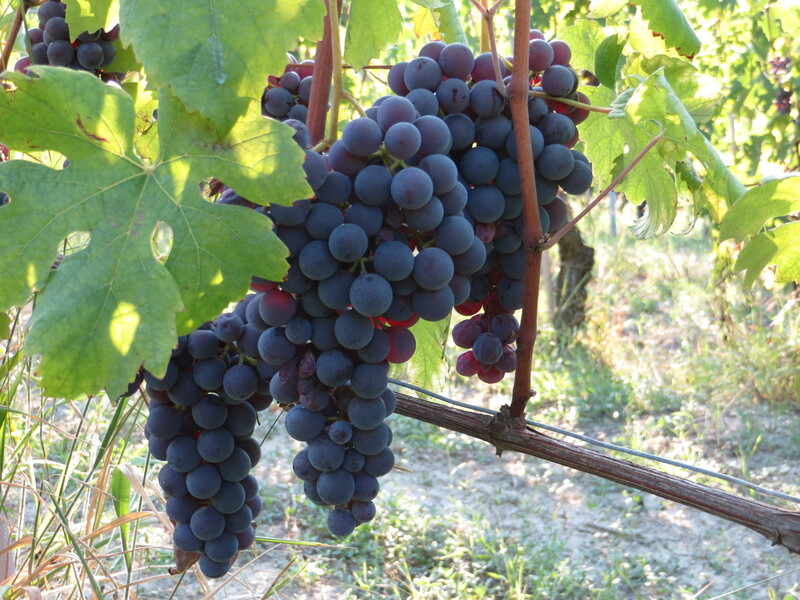 The “Dormiosa” or “little nap” was one of my favorite Barbera d’Albas I tried. And how about the colorful labels? 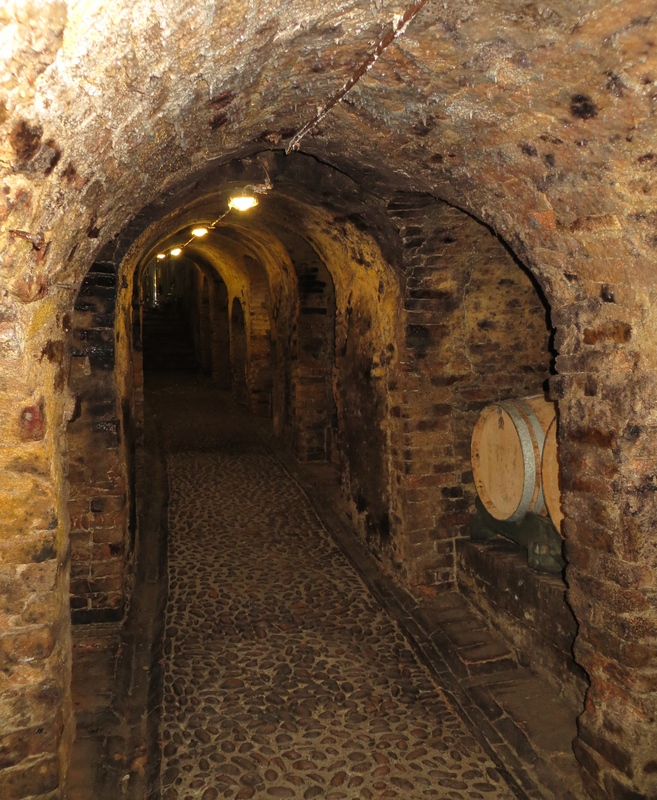 The cellar is a “must-see” if you are in the area. No reservation needed. La Spinetta is the opposite of Cantina Glicine. It is shiny and new; industrial and organized. Their world-renowned products are fixtures at wine competitions and sold across the United States. Do make a reservation before visiting their headquarters. One of the vintners’ granddaughters took us on an educational tour of their cellar, peppering her speech with family anecdotes about how the wines were named and what a 60-year-old bottle tastes like. This is the kind of cellar where you’ll be tempted to buy an expensive bottle for your reserve collection. 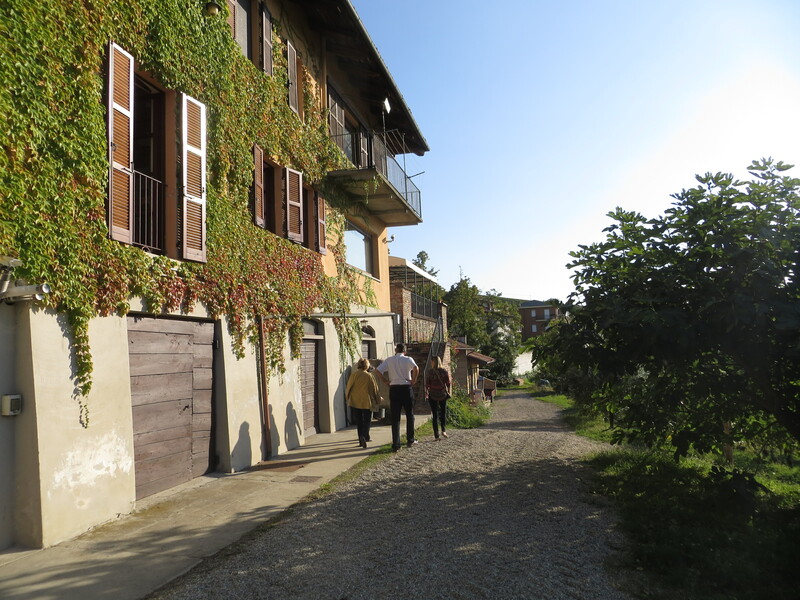 The host at our B&B recommended we visit Cascina delle Rose–and sure enough, it was one of our favorites. It is a family production with the parents heading up the business and their two sons dividing up responsibilities for the next generation. One went to school for oenology and the other went to business school to ensure the future of the label. Although their vineyard is relatively small, their products are being sold in select wine shops in the States. If you are a super fan (and I’m on my way), you can stay at the vineyard’s B&B and help harvest grapes. I believe Bruno Rocca is on its way to be the next La Spinetta, so visit now. We heard the buzz about this vineyard from people we met at other wine tastings, so we booked a reservation to take my parents. The tasting turned out to be just the four of us with one of the vineyard’s most knowledgeable employees. 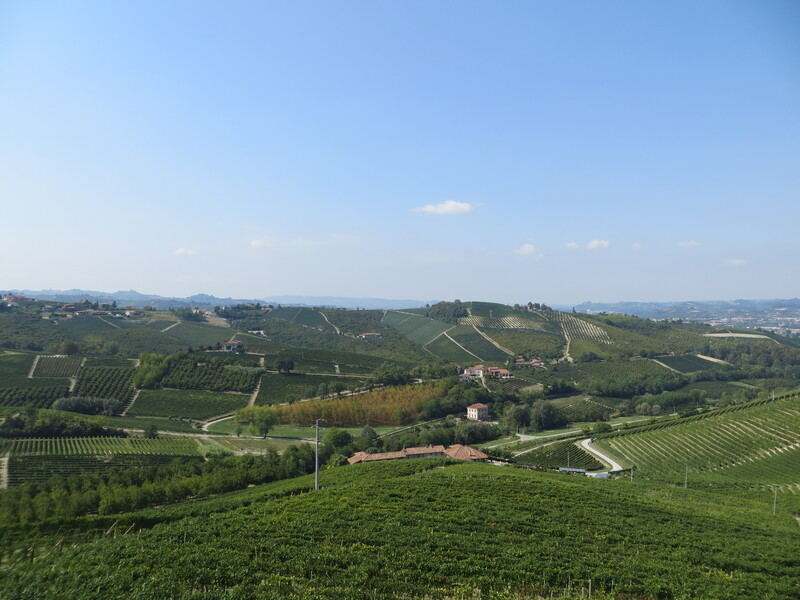 We asked her as many questions as we could and she took photos of us on the vineyard’s incredible terrace overlooking all of Barbaresco. I brought home a few bottles of their delicious chardonnay, but their reds are what have earned them notoriety. All their bottles feature a slightly different feather motif–a nod to the “lightness” of their wines. 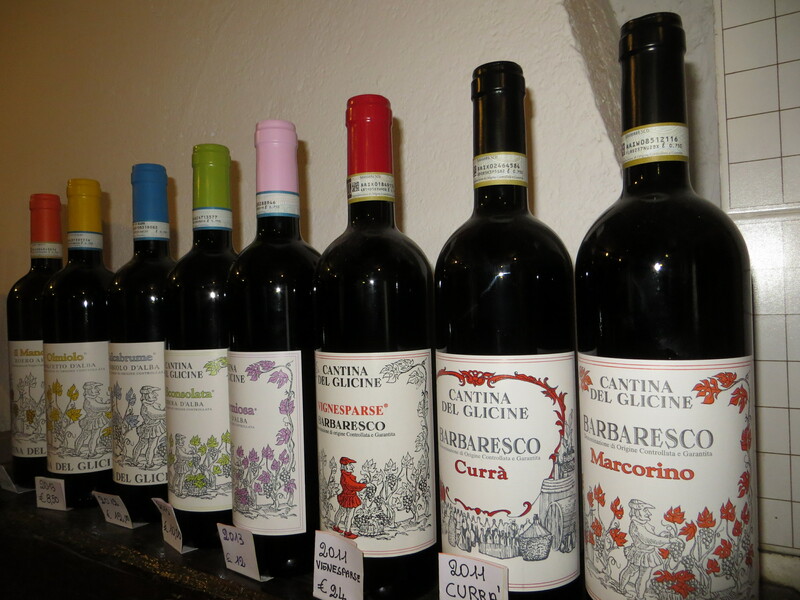 Bookmarking this for our next trip to Piedmont! 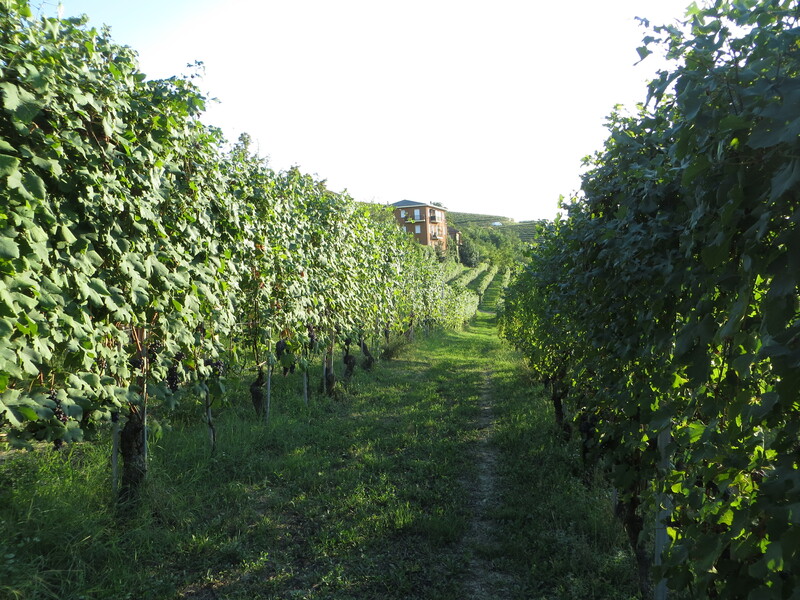 The family I worked for as an au pair had a home in Piedmont with a working vineyard so we used to go down there for holidays. (Plus they had an entire cellar full of fantastic “homemade” wine). I can’t believe my luck, considering the region produces some of the most incredible wines. Their home was right by the town of Alba. Heaven!